Signature Iron Doors is the nation’s number one iron work manufacturer. Our doors and gates are hand forged and designed to enhance the appeal of your home in security and beauty. 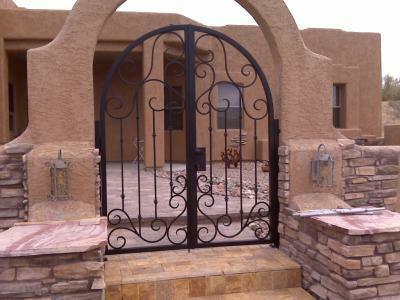 This is a gate we installed near Glendale Arizona. Our showroom is located just in Phoenix Arizona. We have a variety of doors for you to view as you decide what style best fits your home. Custom design is also available if you have a particular style in mind for your home. We can match your ideas to any iron work. Call us and come visit our showroom to find out your iron gate and door possibilities.